Welcome to the practice of Dr. Jenna Henderson. 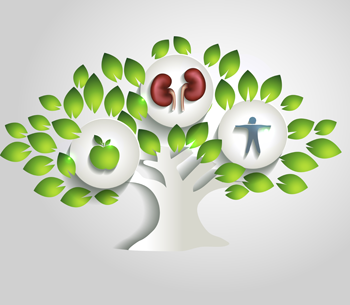 Holistic Kidney is a naturopathic medical practice with a focus on helping patients at all stages of kidney disease achieve optimum health. 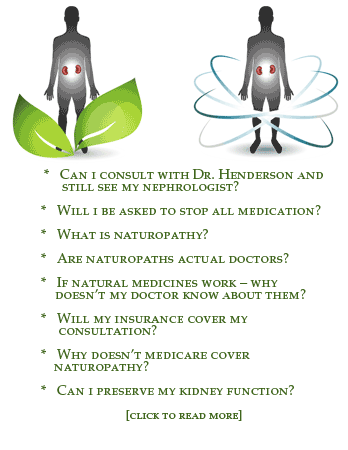 Dr. Henderson is a doctor of naturopathic medicine and a kidney patient herself. She is an authority on kidney disease and the use of natural remedies for achieving optimal health and is sought out for her expertise with safe, alternative, and integrative medicine in the treatment of kidney disease. Dr. Henderson works with patients at all stages of kidney disease: those who are newly diagnosed with kidney disease, who are on dialysis or have a kidney transplant. She also treats patients with diabetes and high blood pressure. Dr. Henderson educates those individuals about the benefits of alternative medicine for kidney care, hypertension, and nephritis. She helps patients stay off dialysis for as long as possible, have more energy throughout the day, sleep better at night, and protect their heart and bones from the long-term damage brought about by kidney disease. Dr. Henderson works with transplant patients to help them cope with the side effects of immunosuppressive therapy. Dr. Hendersons consults with kidney patients and their families worldwide. If you are a kidney patient seeking to improve your health and quality of life, contact Dr. Henderson for a consultation. Dr. Henderson is available for phone/Skype (VSee) consultations Monday – Saturday. Please call (866) 273-1653 to schedule a consultation. You may also contact us using the contact form with any questions regarding our services.